Just a day ago, Aiyaary starring Sidharth Malhotra and Manoj Bajpayee hit the big screen. With a delay of two weeks, the film has been in the midst of a few controversies. Courtesy, the film has been inspired by several real life incidents. And now, reports have it that the film is banned in Pakistan. Aiyaary, we hear, has failed to get clearance for release in Pakistan. Readers may be aware that the film's premise is set against the backdrop of Indian Army. And hence, it seems that this has proved to be a bone of contention for the neighboring country. Being an Indian patriotic film, Aiyaary falls next in line amongst the slew of Indian patriotic films that have been banned in Pakistan. The development proves to be a third for film maker Neeraj Pandey. The director has made two other films in the past under a similar genre, namely Baby and Naam Shabana. Both have failed to receive a clearance for release in Pakistan. Both Baby and Naam Shabana touch upon the defense and intelligence mechanism of India. On the other hand, this is considered to be a subject that has been disapproved for showcase in Pakistan. Aiyaary brings to celluloid three facets of the Indian Army. One is that it gives insights into the battle ground defense mechanisms. Besides that, it also showcases the intelligence and bureaucratic decision makings of the Indian Army. Apart from this, the film was recently also in the news for exposing the Adarsh scam. There were reports stating that the film has brought to light many aspects of this scam. It revolved around the involvement of many bureaucrats and high profile military officials. 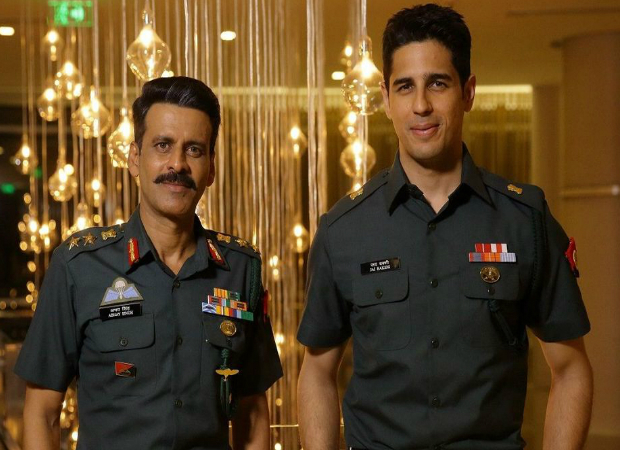 As for the film, Aiyaary features Manoj Bajpayee and Sidharth Malhotra in lead roles as mentor and protégé. Also, Rakul Preet Singh plays Sidharth’s love interest. Besides the trio, the film also stars Pooja Chopra, Naseeruddin Shah, Anupam Kher, and Vikram Gokhale. Produced by Shital Bhatia, Dhaval Jayantilal Gada, Motion Picture Capital, the film releases worldwide on February 16, that is today. Also Read: Re-screening of Aiyaary requested for exposing Adarsh scam?